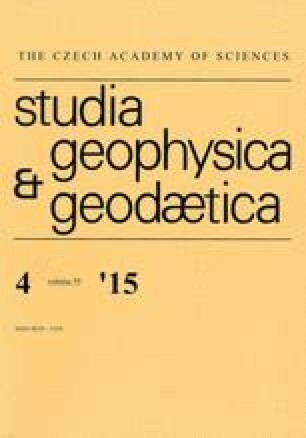 We present results of analyses of the evaluation of the method for local quasigeoid modelling based on the geophysical inversion of gravity data (the GGI method). Relying on precise (with an accuracy level of ± 1 cm) GNSS/levelling height anomalies and surface gravity data, we analysed the method accuracy by a) assessing the accuracy of the model which is based on selected available global geopotential model; b) evaluating the influence of the accuracy of the input data (GNSS/levelling and gravity) on the output model accuracy; and c) analysing the influence of the global model resolution on the quasigeoid model accuracy. Analyses were performed for the area of Poland. As the basic accuracy parameter the standard deviation (σΔζ) of the differences between measured (GNSS/levelling) height anomalies and those established from the model were selected. The results indicate that the accuracy of the quasigeoid output model (in terms of σΔζ) was evaluated at cca ± 1.2 cm irrespective of the global geopotential model used. Such accuracy was also achieved using the global model coefficients only up to the degree Nmax = 90. To achieve the above-mentioned accuracy of the output model, the accuracy of input data should not be lower than cca ± 2.0 cm for GNSS/levelling height anomalies and ± 1.3 mGal for gravity data.